We will discuss work on using ITU-T languages and UML for Internet protocols and solutions, for which the Daidalos project will provide input. The idea is to have maximum interaction with conference attendees. This is a discussion session for all issues related to SDL education from short industrial self-learning courses to material for semester courses at universities. Issues raised at the SAM workshop in 2004 were the availability of tools and the sharing of materials between different organisations. Other issues which could be addressed are: whether and how to integrate education on SDL with education on UML, and the role of testing. 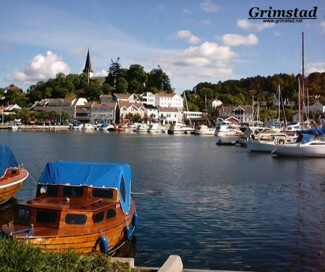 Unofficial Closing: Boat trip with "MS Bibben"
This is the night of midsummer-celebration in Grimstad. Do not miss it! Joint meeting of the study Questions: Requirements Languages (Q.12/17), Specification and Implementation Languages (Q.11/17), and System Design Framework and Unified Modelling Language (Q.13/17). The key topics will be the evolution of the languages and their UML profiles.